6 1/2" x 4" B/W photo on studio card stock showing thirty students gathered for class photo. Probably class at the Center School. A. W. Howes & Co., Photographers, Turners Falls, Mass. 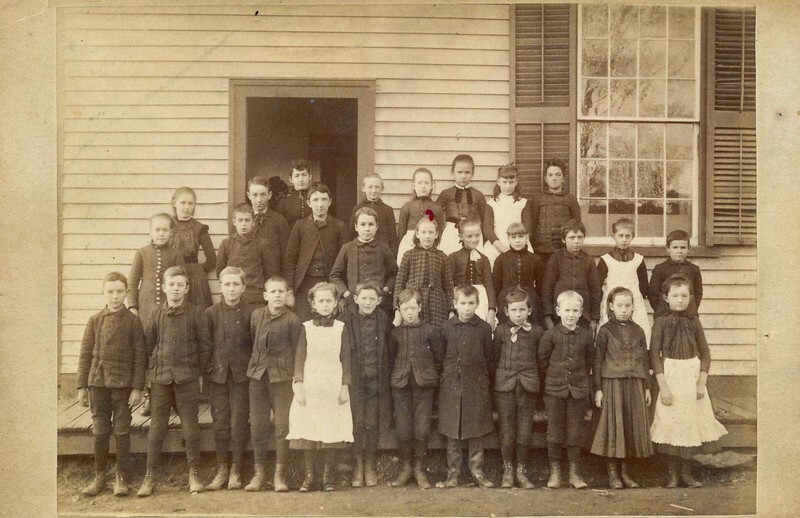 A. W. Howes & Co., Photographers, Turners Falls, Mass., “Center School Class Photo,” Conway Historical Society, accessed April 21, 2019, http://conwaymasshistory.org/items/show/984.